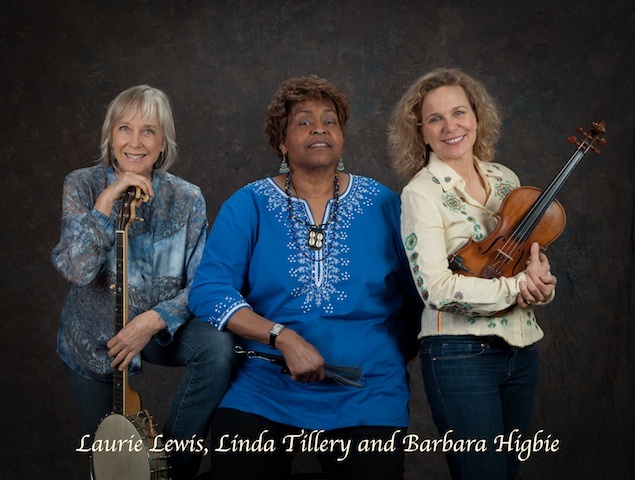 8/9 - Laurie Lewis, Linda Tillery, & Barbara Higbie - "Hills to Hollers"
Eurocana is the name of George Cole's band, and it also describes a musical genre. This thrilling alchemy is a celebration of the great American Songbook with inspiration from the Gypsy-fueled jazz of Django Reinhardt and Stephane Grappelli. Eurocana is: George Cole on lead vocals and lead guitar, Kaeli Earle on vocals and acoustic bass, Mathias Minquet on guitar, and Stephan Dudash on violin. George Cole: Guitarist, vocalist, and composer. George Cole brings vast experience and consummate talent to each show and every project. He has toured with Joe Walsh, recorded with producer Roy Thomas Baker (Queen and Paul McCartney), and performed, with jazz legend Keely Smith. George was guitar instructor and mentor to Billie Joe Armstrong and Mike Dirnt of Green Day. Garnering rave reviews and standing ovations across the country, from the West Coast to Carnegie Hall in New York. Kaeli Earle: Kaeli, a rising star from Bellingham, Washington, is a multi-instrumentalist accomplished in piano, cello, and acoustic bass. She adds her remarkable talents, skill, and non-stop energy to Eurocana as vocalist and musician. Mathias Minquet: French/Argentinian guitarist Mathias Minquet is an exceptionally talented multi-instrumentalist who is a graduate of both The Sorbonne in Paris and Berklee College of Music. His varied musical experience includes performing with Enrique Iglesias, Laura Pausini, and the Pussycat Dolls. Stephan Dudash: Stephan has performed all over the world with a list of greats including Olivia Newton-John, Shania Twain, Janie Fricke, and most recently specializing in Gypsy Jazz music touring with the John Jorgenson Quintet. Amy Hogan is a local singer-songwriter, pianist and guitarist with a great voice and wonderful, unusual and interesting songs. She is classically trained, but has chosen her own music, which she has been performing throughout the Bay Area, inlcuding at a recent sold out show at Studio 55 Marin. Celebrating the first two years of Composers and Schools in Concert, this special benefit concert will feature the music of CSIC board members, guest professional performers and student ensembles. All proceeds go to support CSIC programs. Composers and Schools in Concert is a nonprofit organization that connects professional composers and high school music programs to provide hands-on workshops, mentoring sessions, composer workshops and school presentations. Featured board members include Vic Salvo, Katy Luo, Nick Benavides, John Woodall and Steve Horowitz. 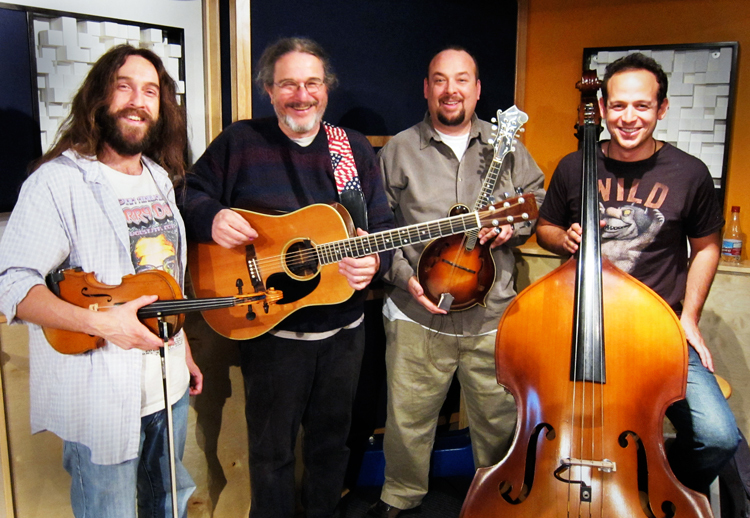 Perfect Strangers is a band of established bluegrass veterans with talent and vitality to burn. 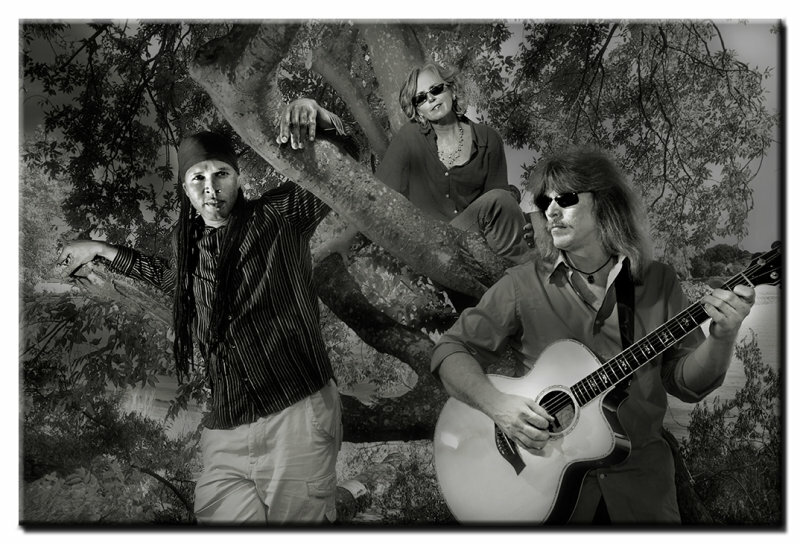 The group was assembled by Chris Brashear to play on his CD Wanderlust which was released on Copper Creek Records to much critical acclaim and a lot of airplay. They jelled so well they decided to continue playing together. 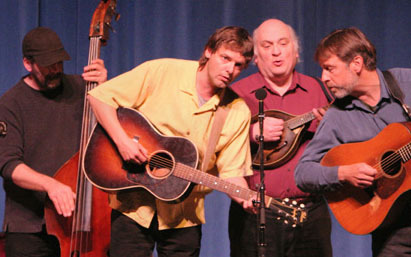 The group played major folk and bluegrass music festivals from coast to coast. All the band members sing and all are songwriters. This show is a reunion concert of almost the entire band. Chris Brashear is a charismatic singer with a high, clear voice, a dynamic instrumentalist, and a songwriter with a penchant for writing memorable, perhaps classic, bluegrass songs on topics other than failed love. He has been Laurie Lewis's bassist, the fiddler for Kentucky Rose, and played jazz violin with the Maurizio Geri Swingtet. Chris is the band's fiddler. National Flatpicking Champion Peter McLaughlin is the band's guitarist. He is equally powerful as a rhythm player and soloist. Peter played in Laurie Lewis's band for several years, records for Dog Boy Records, and is the elder brother (and original mentor) of (Johnson Mountain Boy) David McLaughlin. Peter and Chris have a special musical telepathy that is one of the Perfect Strangers not-so-secret weapons. Jody Stecher is a music innovator of considerable stature who also is a repository of tradition. Jody received a 1999 Indy Award, has been a Grammy finalist several times for his work with Kate Brislin, and is an inspired song finder and arranger. He sings true bluegrass style and plays surprising mandolin with a big, round tone. Paul Knight's list of accolades is as impressive as for any bass player. He has been playing with Peter Rowan in various configurations for over 15 years. His driving acoustic bass has been part of recordings and live performances with a wide range of musicians including Jim Lauderdale, Laurie Lewis, and Crooked Jades, Paul is host to his own music series, Paul Knight & Friends, in his hometown of Point Reyes Station. Dana Land has been stirring up the jazz scene with a refreshing style that is seldom heard and a playful presence that is rarely seen. Her repertoire spans the beautiful standards from the Great American Songbook, sassy blues and sensual Brazilian compositions. Dana will be performing with her Sexytet, featuring Jonathan Alford, Chris Amberger, Jeff Sanford, and Akira Tana. Pianist Jonathan Alford is a first-call jazz and Latin accompanist in the Bay Area . His skill, diversity and passion comes through in his highly inventive and dynamic playing. Bassist Chris Amberger has been around the jazz scene for many years and his apparent talent proves it. A few of the people Chris has toured with, or backed up are Art Blakey and the Jazz Messengers, Tommy Dorsey, Rosemary Clooney, Anita O'Day, and Sammy Davis. Jr, Jeff Sanford: two words...reed wiz! Tenor, soprano, alto, baritone saxes, clarinet, flute and he's a master of all. He is a consummate musician; playful, gritty, beautiful, soulful and always appropriate. Drummer Akira Tana is and and educator, leader of his own band, and one of the most sought after drummers on the international jazz scene. He has worked with many diverse musicians from around the world from Sonny Rollins and Lena Horne to Charles Aznevour and Maurice Hines. Celebrate the release of his new CD with Bobby Jo Valentine and his band, plus special guests Amy Hogan and Julian the Magician. 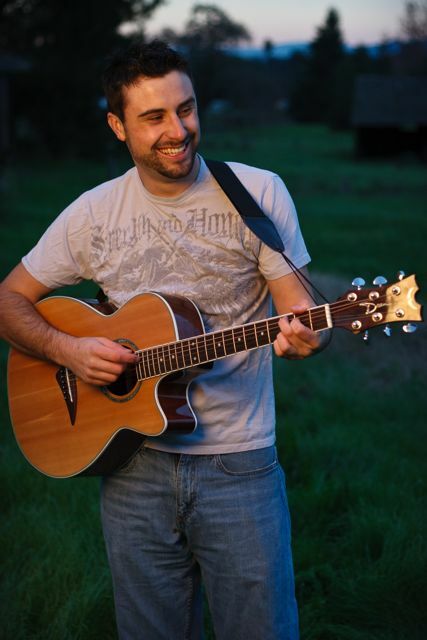 Bobby Jo Valentine is an award-winning singer/songwriter currently residing and touring around the coast of CA. His new album, A Place to Belong was released to favorable reviews and his single Be Mine had radio airplay even before the album's release. His warm, accessible melodies and often-profound lyrics have developed a following around the nation. In August of 2011, a song from the album, Fly won Song of the Year at West Coast Songwriter's Association. Bobby is comfortable on stage in front of large crowds, having played at locations like Hard Rock Cafe, The Fillmore Poster Room, and Pride festivals, but his favorite performances are the intimate theaters and house concerts that enable him a strong connection to the audience. Bursting with energy at times and filled with uplifting, honest messages about hope and life's struggles, Bobby continues to gather new listeners with every show. Amy Hogan is a local singer-songwriter, pianist and guitarist with a great voice and wonderful, unusual and interesting songs. Julian The Magician (Julian Senocak) is an entertaining and accomplished slight-of-hand magician. 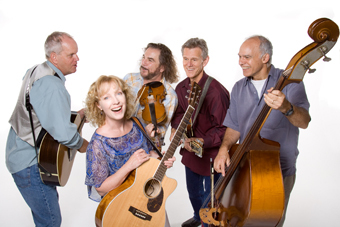 Kathy Kallick has been leading bluegrass bands since co-founding the internationally-acclaimed band, Good Ol' Persons, in 1975. She continues to evolve as one of the music's extraordinary composers and vocalists, releasing 15 albums, which include over 100 of her original songs. Her latest CD, Between the Hollow and the High-Rise, and the song Where Is My Little Cabin Home , were fixtures on the national bluegrass charts for two years. The song had more chart time than any other 2010-11 release! Founded January 2012 by David Gans. Mandolinist David Thom worked for 2 years as a guitarist with the David Grisman Bluegrass Experience, has lead the David Thom Band since 1996, and plays in Grandpa Banana's Band. Fiddle Dave Muhlethaler was a co-founder of Cornmeal, has toured with Lynyrd Skynyrd drummer's the Artimus Pyle Band and recently spent a year playing in The Fall Risk, a band led by Furthur's Jeff Pehrson. Bassist Roger Sideman has performed with Michael Kang (String Cheese Incident) and bluegrass legend Frank Wakefield, and currently performs with The China Cats. David Gans performs solo electric and with Chris and Lorin Rowan in the Beatles jam band Rubber Souldiers, and also does a lot of Grateful Dead-related stuff on the radio, online, and in books. These musicians share an affinity for the music of the Grateful Dead, and came together in an Oakland recording studio in January 2012 to see what they could conjure. 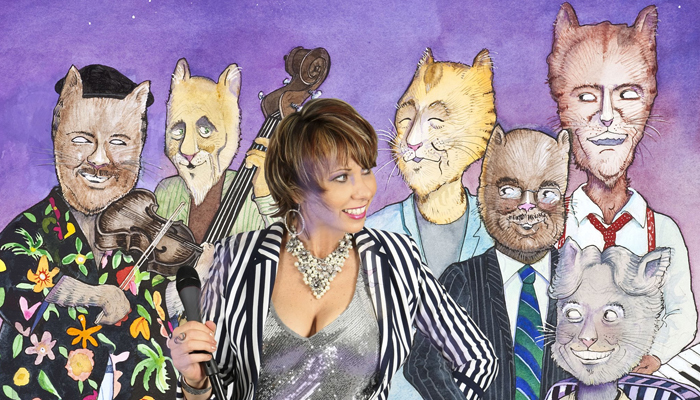 Vocamotion is an exciting new adult vocal ensemble directed by longtime beloved Bay Area singer-songwriter performer and vocal coach, Pollyanna Bush, who works out of her Fairfax studio Alley Cats Music School. Vocamotion will be joined by very talented Bay Area musicians Tom Finch on guitar, Andius on bass, and Isaac Schwartz on drums. This unpretentious all-acoustic string band from the mountains of southern West Virginia play with an authenticity rarely heard in these times. 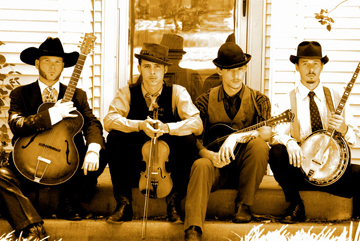 BrownChicken BrownCow StringBand blends old-time fiddle music with shades of gypsy, folk, jazz, celtic, and bluegrass to deliver a fresh sound with a driving rhythm and sophisticated melodic arrangements that provoke audiences across the country to rave about their talent. Xander Hitzig (lead vocals, fiddle, guitar, and tenor banjo) writes many of the songs along with Justin Morris (vocals, guitar, bass, five-string banjo), Orion Hitzig (vocals, mandolin, claw hammer banjo, spoons), and Matt Del Olmo (vocals, bass, guitar, 5-string banjo). The string band is exciting to watch as they play waltzes, reveries, reels, and stomps, and join the audience in drinking and merriment. The familiar becomes strange, and the strange familiar; a tension rises up in the playful songs, and there is an edge to even the most romantic themes. The band moves from romping jigs and swinging dances to seductive ballads, uniquely styled covers, and wholly original songs about love, relationships, coal miners, tragic murders, driving with red glasses, and storms that won't drown out their sound. This is music the entire family can enjoy. The Littlest Birds are a touring cello and banjo duo establishing themselves on a national scale as folk and old time music artists. Coming from a small mountain town in the Eastern Sierra of California, they've been reaching out on long tours, playing over 150 shows along over 25,000 miles of highway across the entire country, including several concert series and national radio programs like Knoxville's Blue Plate Special on WDVX. Both classically trained musicians, (Dave on the Cello and Sharon on the French Horn before she took up the banjo), they have been making music individually their entire lives. No strangers to the stage, they bring an excellent feel to the music, combined with a fantastic energy and sound. 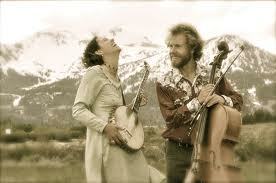 And of course, banjo and cello together is truly the marriage of the two best instruments ever made. You'll find music to dance to, music to relax to, music to holler along with, and music that may even make you cry with it's beauty and tenderness. The warmth and depth of sound created by the cello and banjo arrangement will surprise and delight you as it blends with their smooth vocal harmonies. With dreamy three-part harmonies, raucous surf-tinged guitar and more than a bit of tongue in cheek, the East Bay Area's own alt-country outfit Loretta Lynch's stirring songs reach the shady grove in all of us. A little tear in your beer, a little knife in the back - think "O Brother Where Art Thou" meets the Andrews Sisters' disreputable cousins at a warehouse hoedown. It's Americana Noir. Loretta has blazed trails, having played San Francisco's acclaimed Great American Music Hall and Slim's nightclubs, the historic Freight and Salvage Coffeehouse, live radio performances (including twice on NPR's nationally syndicated West Coast Live), multiple appearances at England's famed Glastonbury Music Festival, and performances on the second stages at the Sleep Train Pavilion and Shoreline Amphitheatre opening for Alabama. Loretta Lynch appeared on NPR's 'Marketplace' website ... as one of the "Great Pop Music Artists of Today", and has lassoed a devoted and steadily growing local fan base. Let this city quintet with the country heart break yours into tiny jagged pieces and lift it up again. It's a little bit front stoop, a little bit backwoods, it's the art motel on a long stretch of highway - it's Loretta Lynch! 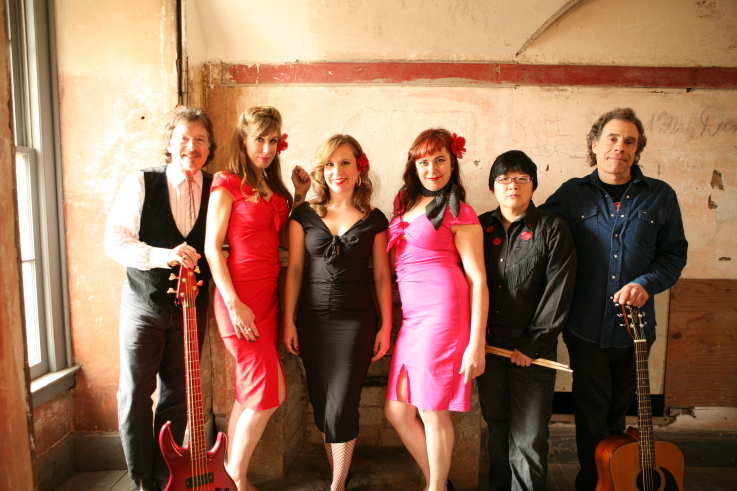 From classic country to gritty folk and electric blues, The Muddy Roses feature a stylish repertoire of Americana heirlooms and originals with soaring three-part harmonies, tight instrumentation and sassy humor. 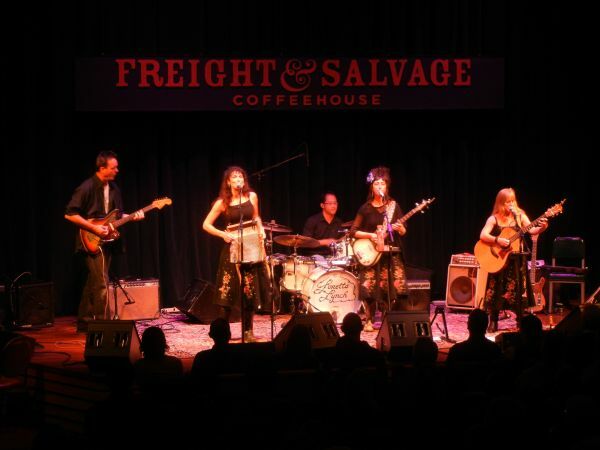 Fronted by a trio of powerful female vocalists that can turn a phrase and capture a tune in perfect harmony, this Bay Area-based band is a foot-stompin' firecracker of a good time. Their performance is firmly planted on the shoulders of American female singers and songwriters of the early to mid-20th century - gals who had something frank to say about their feelings and did so with a wink and a smile. From tough blues matriarchs like Memphis Minnie and Ethel Waters, to Grand Ole Opry favorites like the Carter Sisters and Kitty Wells, to darlings of the Nashville sound like Loretta Lynn and Wanda Jackson, these women expressed their frustrations, woes and triumphs through song. Members of The Muddy Roses have shared the stage with Link Wray, Eddie Money, various members of Quicksilver Messenger Service and The Steve Miller Band, The Beau Brummels, The Drifters, Johnny Rivers and The Mamas and the Papas, among others. Combining their love for traditional and folk music as well as original songs and tunes the Paul MacKenna Band have been plaing to audiences throughout the UK since 2006. With a contemporary approach to songs, although not straying too far from their roots, their arrangements are both fresh and innovative. 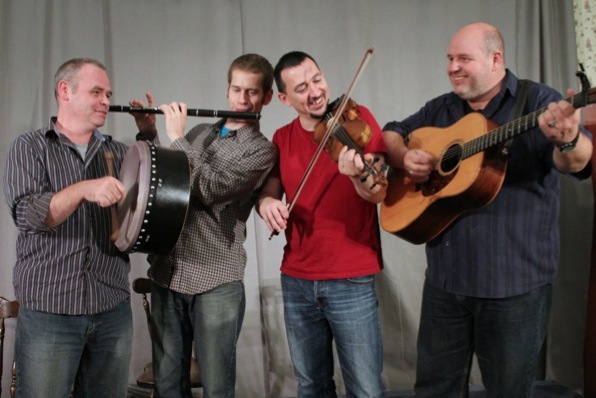 Their exciting sound is created through outstanding vocals, driving guitar and bouzouki, intense fiddle playing a warm pairing of flute and whistles and dynamic bodhran and percussion. Since being awarded the title of Best Up and Coming Artist of 2009 at the MG Alba Scots Trad Music Awards, The Paul McKenna Band have gone from strength to strength touring extensively throughout USA, Canada and Europe. 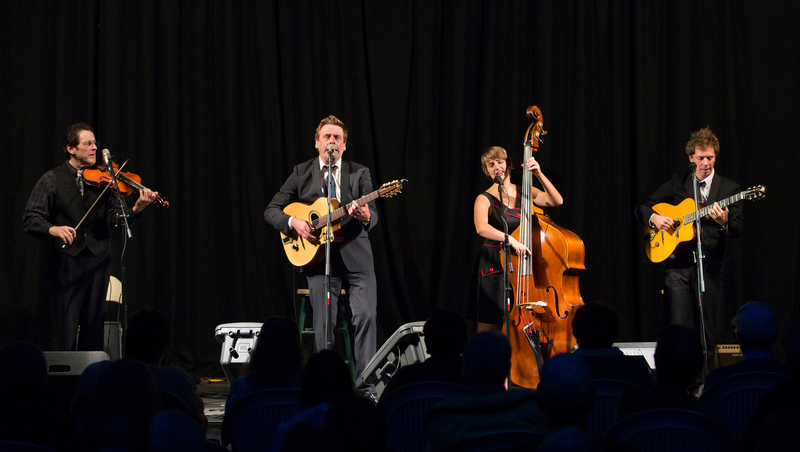 Concert highlights of 2011 include performances at The Cambridge Folk Festival England, Tonder Festival Denmark, Milwaukee Irish Festival USA and Goderich Festival Canada. Since March 2003 Comas have been together as a band. Before that, they toured individually in top acts as The Drovers, Orion, Gwazigan Urbantrad, Denez Prigent, and the internationally acclaimed Liz Carroll, to name just a few. 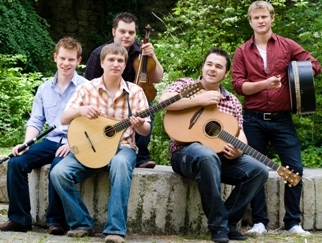 Although coming from diverse musical backgrounds, and residing in different parts of the globe, they found each other in their similiar approach to music, bringing together their many cultural influences to forge a unique blend of Traditional Irish music that literally had them, within months of coming together, playing on Major Festivals in Ireland/ Belgium/France/ England/ Denmark/ Holland. This achivement alone is worthy of note, and as further testimony to their deep rooted talents, being asked back immediately on every Festival they played on. When you hear Comas you'll know that their choice of name was no mere coincidence, since it means power in Gaelic, and power is exactly what this band is about: depicting their own driving power coupled with a fine sensitivity for the inner strands of magic that is inherent in Irish music. 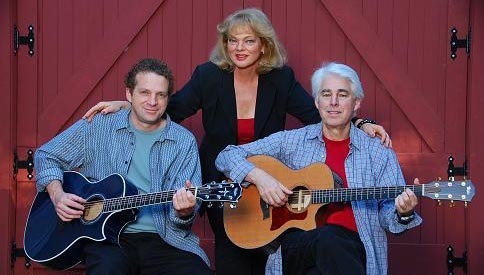 This bi-coastal trio of Elaine Dempsey, Lawrence Lambert & Karl Werne, from California and Virginia, bring diverse backgrounds of experience, music and theater together to form a rich, soulful blend of character and deep harmony. It will move you to an understanding of their name: BiG WiDE GRiN. They are constantly on the move - whether at festivals, concert series, shows, or select house concerts and have shared the stage, collectively, with such artists as Janis Ian, Harriett Schock, Lowen & Navarro, Richie Havens, Bruce Hornsby and toured with legendary blues man Keb' Mo'. Take three supremely talented performers, throw in a generous portion of intelligent and heartfelt songwriting, add a dash of wit and charm, then sit yourself down to a spellbinding evening of top-notch entertainment with Big Wide Grin ...guaranteed to put one on every face. BJ Leiderman, theme composer, National Public Radio. We at Studio 55 have know about this group for several years, and have been trying to book them. Our success is your good luck. Here is an unusual chance to see this unusual group in our home town. Modern Folk. Original Voices. True Stories. 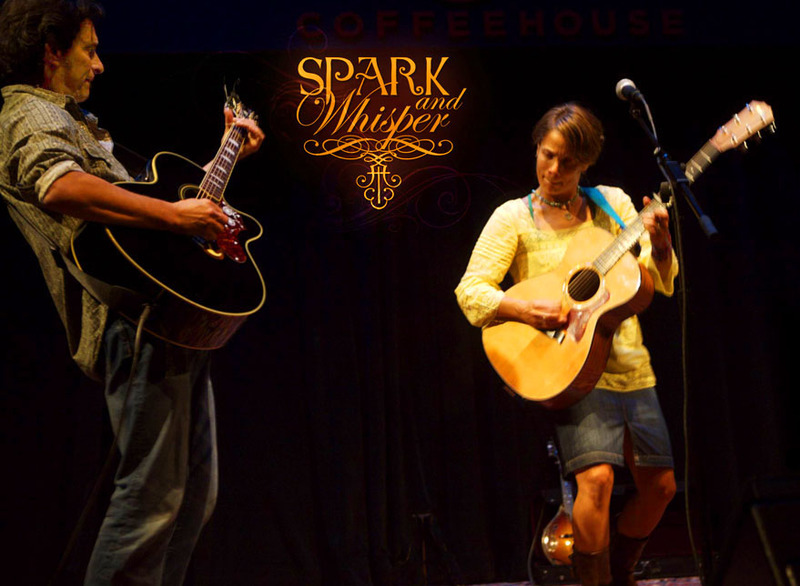 Spark and Whisper is an indie-folk band led by singer/songwriters Velvy Appleton (vocals, acoustic/electric/slide guitars) and Anita Sandwina (vocals, guitar, mandolin). Performing with their full band (Paul Eastburn on bass, viola, flute; Scott Johnson on percussion, vocals) and special guests, Spark & Whisper will be introducing new original material, as well as revisiting some old favorites. Spark & Whisper delves into the rich territory of the modern American experience - our daily encounters and travails with technology, tradition, love, money, and the natural world. Their songs offer an unflinching look at our own humanity and are driven by the band's signature sound of acoustic stringed grooves and beautiful folk harmonies. The music is unexpectedly uplifting, with powerful guitar work and a hard-swinging, percussive rhythm section. This is handcrafted folk music of the best kind. The Pacific Sun writes Spark & Whisper have created an infective original sound based on pitch-perfect vocal harmonies and dynamic acoustic grooves that soothe and move the mind and body. Bluegrass legend Laurie Lewis, soul icon and Cultural Heritage Choir leader Linda Tillery, and Grammy nominated singer/songwriter multi-instrumentalist, Barbara Higbie have created a new vocal trio Hills to Hollers , that explores the roots of American music from the Hills of bluegrass and country, to the work songs, romps and Hollers of the African-American tradition. 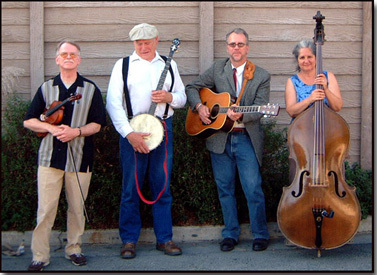 Performing original and traditional music with soulful abandon, three-part-vocal pyrotechnics, championship fiddle playing, banjo, guitar, mandolin and percussion, this group is tremendously talented. On their way to recording their first CD together and performing at the prestigious Edmonton Folk Festival the day after this show, this is your chance to see this super group at its beginning. LAURIE LEWIS is two-time winner of the Bluegrass Association of America Vocalist of the Year . Acclaimed musician Sam Bush calls her a great singer, terrific fiddle player, fine songwriter, and one very good band leader. . Laurie performed on both the Grammy-award winning, 1997 IBMA album of the year True Life Blues: The Songs of Bill Monroe, and the Grammy-nominated Ralph Stanley & Friends release Clinch Mountain Country. LINDA TILLERY is a gospel/blues/soul icon. She is a veteran vocalist, percussionist, Grammy nominated producer and cultural historian whose career has spanned 43 years. Her powerful, shimmering alto voice has been showcased in many of the Bay Area's most popular bands and venues, and she has had a profound influence on younger Bay Area singers. BARBARA HIGBIE is a Grammy-nominated, Bammy award winning composer, pianist singer-songwriter and multi-instrumentalist, Barbara has performed on more than 65 albums, including Carlos Santana's 2007 release. She has 11 recordings to her credit as well as contributions to 10 compilations that have sold in the millions. She was a cofounder, with Darol Anger, of the acoustic super group Montreux . Eurocana is the name of George Cole's band, and it also describes a musical genre. This thrilling alchemy is a celebration of the great American Songbook with inspiration from the Gypsy-fueled jazz of Django Reinhardt and Stephane Grappelli. Eurocana is: George Cole on lead vocals and lead guitar, Echae Kang on violin, Mathias Minquet on guitar and Kaeli Earle on vocals and acoustic bass. Echae Kang: Echae was hailed as the star violinist at Berkelee School of Music where she graduated with honors in May, as well as at her alma mater the Seoul Jazz Academy. Echae has played with string virtuoso Mark O'Connor, legendary bassist Ron Carter, Grammy nominated vocalist Lalah Hathaway, and Academy Award nominated composer Alan Silvestri. Four years ago, the Jugtown Pirates packed their bags in Vermont and headed west to San Francisco, CA. Living in the heart of the city in the historic Haight Ashbury, the Pirates developed an incredible following by "busking" bluegrass daily on their front porch stoop, drawing massive street crowds. Subsequently, local Bay Area venues are always packed with dancin' Jugtown fans. The sound and the scene of San Francisco's Summer of Love is being revived and recreated by Jugtown, in the exact place that it happened over forty-years ago. When not performing in a duo with Claire Mann, Aaron Jones tours the world with famous Scottish band Old Blind Dogs. Originally from Poole in England, Aaron has lived and worked in Scotland for over twenty years. Aaron spends much of his year touring in the USA and throughout the UK and Europe. He has recorded on countless traditional albums and has made numerous TV and Radio appearances Worldwide. He continues to work regularly with some of the biggest names in folk music, both as a performer and as a producer. 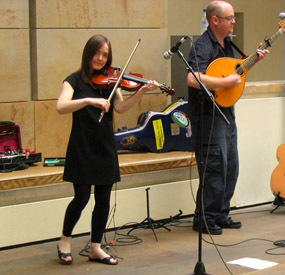 Aaron's band Old Blind Dogs were voted Band of the Year in 2004 and 2007 at the Scots Trad Music Awards and won the IAP 'Folk Album of the Year' for their CD Four on the Floor. Claire Mann comes from the north east of England and has established herself as one of the leading exponents of Traditional Irish Flute, Fiddle and Song. She has won numerous All Ireland Championships on flute, whistle and fiddle. 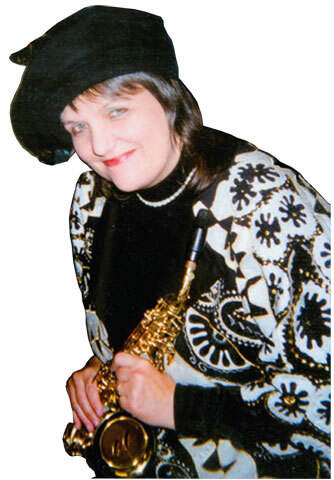 Claire is highly sought after as a traditional music tutor. She currently teaches the Flute and Tin Whistle at the Royal Scottish Academy of Music and Drama in Glasgow and is a regular visiting tutor on Flute and Fiddle at Newcastle University. She has also toured extensively worldwide with bands Tabache, Craobh Rua and Christy O'Leary and released her debut solo album Claire Mann in September 2001 on the Foot Stompin' label to great critical acclaim. Like all families, Family Lines has history. And what a history it is. As a professional actress Susan Nielsen shared the stage with Bob Hope, Merv Griffin, Bill Cosby, and other national stars before shifting gears and getting back to her musical roots as a vocalist and composer. Tim McDonald has been honing his singing and guitar picking skills since he was just a kid. He played lead in several Bay area groups, including Axis and The King's Men, before going it alone as a solo artist. And string master Ken Frankel has been part of the California music scene since the 60s, performing with music notables such as Jerry Garcia, Richard Green, Rick Shubb, Sandy Rothman, Robert Hunter, and Tom Constanten. Put 'em together and what have you got? A trio that performs outstanding original music as well as folk, blues, and roots favorites. This acoustic family features rich vocal harmonies that blend somewhere beyond the DNA. Family Lines delivers lively and riveting performances that'll get you out of your seats and make you feel like--well, like family. 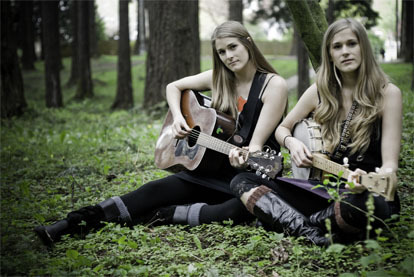 Identical twins Laurie Shook (vocals, banjo, percussion and beatboxing) and Katelyn Shook (vocals, guitar and mandolin), The Shook Twins, intertwine gorgeous twin harmonies with an eclectic and eccentric blend of folk, roots, pop and fun. Jeff Rosenberg of the Willamette Weekly says, Their songs are witty and well-built, the performances poised, the production adventurous. Recently transplanted to Portland, Shook Twins are the most exciting local folk act I've heard in ages. Strike that word local and the sentiment still stands. Originally from Sandpoint Idaho, the twins have been making music together since childhood. Playful, warm and lighthearted, a Shook Twins show percolates with the twin's infectious radiant energy. Pristine vocals layered on top of traditional stringed folk instruments, create lovely aural imagery of two women with one sound. But don't be fooled. The Shook Twins are not your average folk group. They have a few tricks up their sleeves. Laurie may drop a beat-box in the middle of a song, while Katelyn plays the guitar, glockenspiel, mandolin, and sings into a telephone and bocks like a chicken. Laurie plays wah-wah Banjo and loops various melodies and beats to make it sound like more than just two identical twin sisters. It's a refreshing romp filled with unexpected surprises. Melody Walker's soulful songwriting and Jacob Groopman's picking prowess join together in a duo that is creating it's own genre: "Americali". 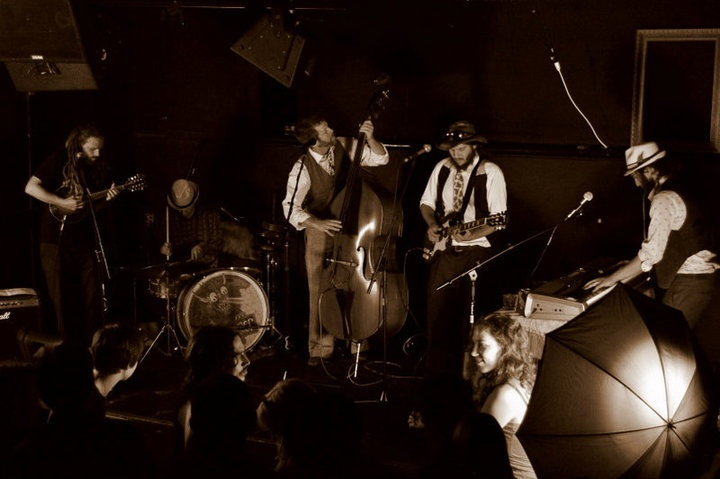 Hailing from the San Francisco Bay Area and the Blue Ridge Mountains of Virginia, respectively, Walker and Groopman represent a real fusion of ideas and sounds, with the literacy and musicianship to pull it off. Their voices harmonize earnestly over intricate textures of banjo, guitars and mandolin, as they sing of ancient truths and futuristic myths, bringing their eclectic influences to life in traditional forms. 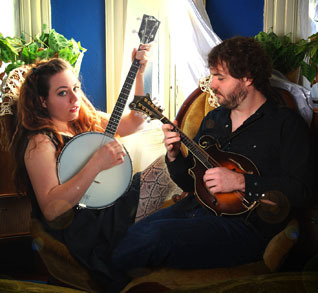 2012 is an exciting year for Melody Walker & Jacob Groopman, with the release of their first full-length album Gold Rush Goddess and national tour dates through the fall. 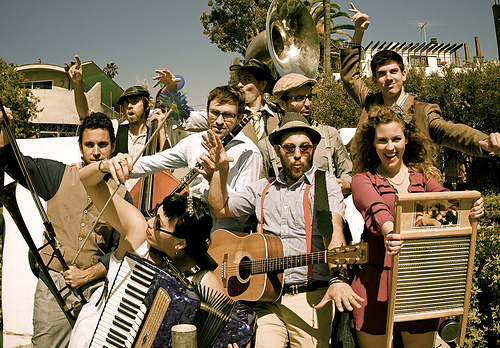 Their local schedule includes plays at the Great American Music Hall and the Freight & Salvage, and tours include Alaska, Colorado and both coasts. Gold Rush Goddess is enjoying a national Americana and AAA radio and publicity campaign this spring, with a crack team helping to spread the music from coast to coast. The duo has performed with Bruce Cockburn, Tony Furtado, Bearfoot, the Honey Dewdrops and Evie Ladin Band in 2011. Melody Walker has toured with Moira Smiley & VOCO and AkaBella, and Jacob Groopman has toured with Albino! and Donner Mountain Bluegrass Band. Rafe Stefanini needs no introduction to Old Time music audiences. He is undoubtedly one of the finest and truest interpreters of the genre, with a vast repertoire of fiddle and banjo tunes that reaches back into the 19th century. For almost 30 years his playing has delighted people around the world. His recorded work spans 2 decades and over 20 albums. Rafe was born in Italy, but his love for Old Time music brought him to the US, where he has been a permanent resident since 1983. Clelia Stefanini is following in her father's footsteps with skills on the fiddle and guitar far exceeding her young age, with a style solidly grounded in the older tradition. 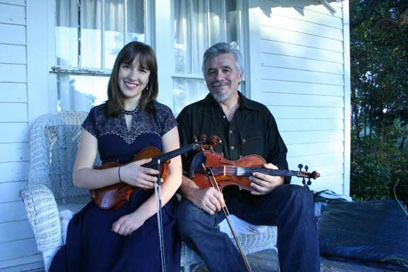 Together they present an entertaining show that includes rousing fiddle duets, old time ballads and songs and banjo tunes. Their new CD Never Seen the Like is now available. 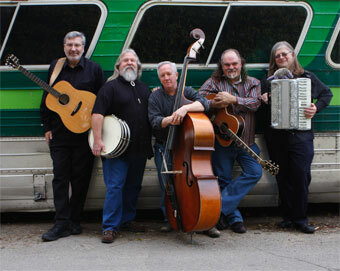 This is a rare chance for old time music fans in Marin to see this iconic Sonoma County band. 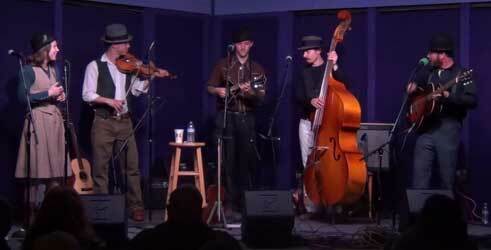 The Lonesome Holler String Band is dedicated to preserving and playing the rural music of the 1920's and 1930's. They've been doing this for a long time now under various and sundry band names and this is the latest one. Their present lineup is Evan Morgan on guitar, Steve Wharton on banjos and autoharp, Chris Carney on fiddle and mandolin, and Sue Walters on bass. Steve and Chris played under the name Acme String Ensemble for about 20 years and Evan was part of that band for 5 or 6 of those years. They still play the same great old time music which you can hear on their web site. Between the four of them, they've played all over California and points East at festivals, winerys, clubs and bars, and parties. You name it, one of them has probably played there. 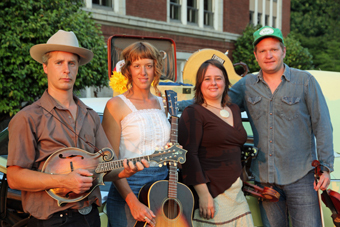 Internationally acclaimed Foghorn Stringband has been at the vanguard of a revival in American old-time music for over a decade now. They've traveled the globe, been signed to a major label, and inspired a new generation of old-time musicians, all without compromising their love of traditional American music. But they've gathered new ideas and new band members too. Their unique sound still comes from the fiery, intertwining melodies of Stephen Sammy Lind's fiddle and Caleb Klauder's mandolin, but now they're supported by the bedrock-solid rhythm foundation of Reeb Williams' guitar and Nadine Landry's bass. And when it comes to vocals, they deliver; four powerful and exceptional voices resulting in countless combinations of harmonies. A typical Foghorn set is based around exquisitely rare old-time tunes and songs, but a vast knowledge of early country music and recent explorations in Cajun song traditions have molded a powerful new sound. Any band would be happy to have mastered one music genre, but Foghorn Stringband have a roaming spirit, and are already sparking new revivals of American roots music traditions. Originally from New England, the Sibleys have been at home in the Rocky Mountain West since 1999. Singing for as long as they can remember, Anne & Pete have come many miles from their classical music training to the people's music: folk, bluegrass and traditional music. Using the guitar and clawhammer banjo to accompany their tight harmonies, the Sibleys tell stories about life and love as they see it, and it is this quality that rings true with audiences from coast to coast. Anne & Pete's music highlights their connection with the landscape, community, family, and even the food they grow and eat. Less than a decade since they released their first album, the Sibleys' music hit the national spotlight in 2009 with a blue ribbon finish in the Great American Duet Sing Off on National Public Radio's A Prairie Home Companion. 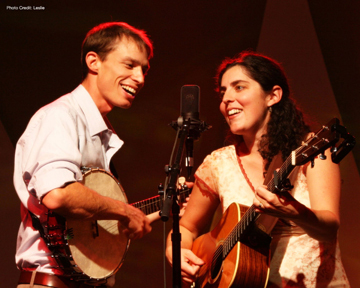 Last summer, the couple released their fourth and most critically-acclaimed CD, Coming Home. Prior releases are Will You Walk With Me (2005), Winter on the Great Divide (2007) and Think of This River (2004). We advise audience members to bring along personal fire extinguishers as this quintet of musical veterans plus two great special guests ignite the evening with their sizzling, eclectic mixture of originals and original interpretations of grassroots Americana music. Houston Jones features the highwire left-handed upside down guitar wizardry of former Waybacks and Hearts on Fire guitarist Glenn Houston and the whiskey-cured honky tonk vocals of Louisiana-born Travis Jones. Add to the equation Chris Kee (Peter Rowan, Norah Jones, the Waybacks) on bass, cello, and guitar, Peter Tucker (formerly of the Waybacks) on percussion, and Henry Salvia (the Johnny Nocturne Band) on keyboards and accordion, and you have a group that can comfortably embrace musical styles from bluegrass, country, folk, and gospel to blues, Texas swing, and jazz, and barely break a sweat, unlike their audience. The group just released its sixth CD, Queen of Yesterday. 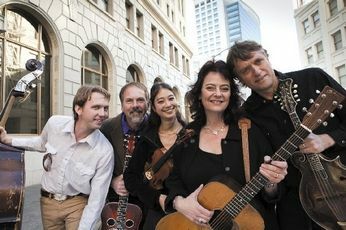 Award-winning recording artist and critically-acclaimed Bluegrass powerhouse vocalist, Susie Glaze has been called by Bluegrass Unlimited "an important voice on the California Bluegrass scene." A native Tennessean, Susie was the winner of the 1999 Topanga Banjo and Fiddle Contest for Traditional Singing and her Hilonesome Band was named in Folkworks Top 10 2008 Acoustic Bands in Southern California. 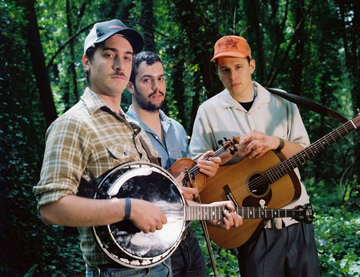 Presenting the best in Newgrass Americana Folk Fusion, they were Winners of the Just Plain Folks 2006 Music Awards for Best Roots Album, and Folkworks Pick for Best Bluegrass Album of 2005 for "Blue Eyed Darlin'." KCSN writes: "Susie Glaze does something with a song that only great singers can do...she grabs hold of a song's deepest emotion and purpose and wraps it tightly around your soul...." Susie's Hilonesome Band showcases the songwriting of lead guitarist Rob Carlson and features Steve Rankin on mandolin, Fred Sanders on bass and Mark Indictor on fiddle. Their "Live at the Freight & Salvage" was released in 2011 and features their guest the great Bill Evans on banjo. Like all families, Family Lines has history. And what a history it is. As a professional actress Susan Nielsen shared the stage with Bob Hope, Merv Griffin, Bill Cosby, and other national stars before shifting gears and getting back to her musical roots as a vocalist and composer. Tim McDonald has been honing his singing and guitar picking skills since he was just a kid. He played lead in several Bay area groups, including Axis and The King's Men, before going it alone as a solo artist. And string master Ken Frankel has been part of the California music scene since the 60s, performing with music notables such as Jerry Garcia, Richard Green, Rick Shubb, Sandy Rothman, Robert Hunber, and Tom Constanten. Put 'em together and what have you got? A trio that performs outstanding original music as well as folk, blues, and roots favorites. 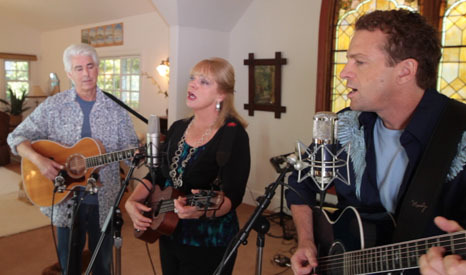 This acoustic family features rich vocal harmonies that blend somewhere beyond the DNA. Family Lines delivers lively and riveting performances that'll get you out of your seats and make you feel like--well, like family. Turns out that the Pacific Northwest is a bubbling cauldron of activity in the folk music world. Leading this vibrant community of square dancers and bluegrass fanatics, The Water Tower Bucket Boys have a unique vision of traditional music in a brand-new century. They know the roots of the music inside and out and have stayed up through many an all-night picking party. But don't forget that they've been raised on raging punk music just as much as Tommy Jarrell, and half the band have received jazz degrees in university. Put that together with the wanderlust of youth that has carried them throughout Europe and across the US, and you get their wildly eclectic vision of folk music for the 21st century; dominated as much by psychedelic music and punk rock as old 78 recordings and toothless fiddle masters. The Water Tower Bucket Boys bring a no-holds-barred approach to the music in their attempt to share the joy and exuberance of American folk traditions with a new generation. January 29, 2012 - Miraflores Academie Student Concerts, directed by Marcia Miget. with special guest Sly Randolph on drums. 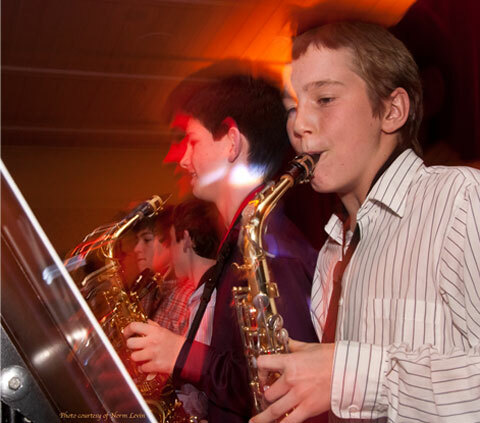 Miraflores Academie, a California 501(c)3, provides music education to students throughout Marin County. Our core philosophy is "teaching perception through music education." This concert features Jazz Ensembles which include "Saxopoly", the award winning Saxophone Ensemble with over a decade of public performances at events such as The Italian Street Painting Festival, Marin Art and Music Festival and Marin Interfaith Council's Martin Luther King Concerts. Sly Randolph, an accomplished drummer and teacher will be accompanying our students. Our Master Instructor and Executive Director, Marcia Miget, has cultivated and nurtured musical talents the likes of Sean Castle, Music Director at San Rafael High School, Jeff Derby, Professional Saxophonist and Music Director at Hall Middle School, Salvador Santana, pianist/ bandleader, Jarrett Cherner, jazz pianist/bandleader in New York City and Jaimeo Brown, jazz drummer/ band leader in New York City.